One of the selling points of Euro Palace is the enticing bonuses and promotions. New players from the specified countries are eligible for a 100% deposit bonus for the first three deposits. Apart from this, there is a Loyalty Program and several other ongoing daily, weekly, monthly and even annual promotions. When it comes to gaming options, Euro Casino boasts a range of card and table games, slots, video poker, progressive games, live casino, jackpots and so much more. Among the most popular games include Immortal Romance, European Roulette, Monkey Keno, Break Da Bank Again, Alaskan Fishing, Deuces Wild, Dragon Dance, and Mega-Moolah among others. Behind every successful online casino is an equally successful and reputable casino gaming software provider. Euro Palace Casino has partnered with the industry's leading software provider; Microgaming. This is a renowned company that was actually behind the first genuine online casino gaming software in 1994. The company develops the best casino games, in the latest formats. 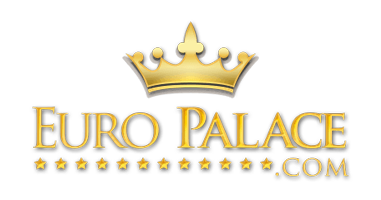 Euro Palace Casino offers convenient deposit methods. It has partnered with most of the eWallet platforms including PayPal, Neteller, Skrill, EcoPays, GiroPay among others. Deposits are instant but sometimes take a few hours. Credit and debit card deposits are also allowed as well as bank transfers, but the two options take longer. Euro Palace players can get their money via eWallet withdrawals which take 0-24 hours. Players can also transfer the funds to their credit and debit cards which takes 2-6 days. Bank transfers and cheque withdrawals are also available and take 3-7 days and 14-21 days respectively. There is a €5000 per week withdrawal limit. Euro Palace Casino is a global gambling platform that serves players from all corners of the world. To meet the demands of all the players, the platform is translated in all of the popular languages including English, French, Portuguese, Spanish, and so on. Toggle the language settings on the right to the preferred language choice. Playing in a foreign currency is not always the best. Euro Palace Casino offers its clients a range of currencies to choose from including the US dollar, Euros, Pounds, Swiss francs, Chinese yuan, Japanese yen among other top currencies. This gives players a much-customized interface they are comfortable with as opposed to playing in foreign currencies. Euro Palace is among the best online casinos in the market. The casino is available as instant play, but players can also download the casino software on PC or Mac. On-the-go gamblers can also access the online casino games and live dealer games on the user-friendly mobile platform (Android and iOS). Customer support is crucial when it comes to online casino gambling. Euro Palace Casino has a dedicated team of professionals who are always ready to help. There is a 24/7 live chat support and an international telephone line which offer excellent turnaround. The other channel is via email but the response time is quite long.